Abilene groups announce successful completion of the Mayor's Challenge to end veteran's Homelessness. 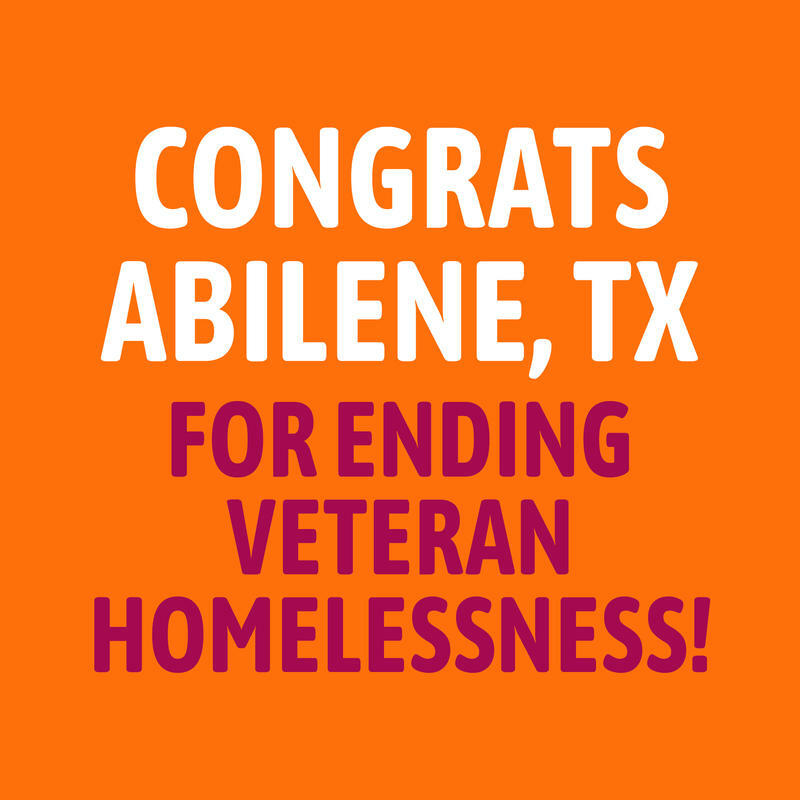 KACU's Heather Claborn reports Abilene becomes the 9th U.S. city to end veteran homelessness. Homeless advocates began the Mayor's Challenge to End Veteran Homelessness in November, 2018. The challenge began last November. But the work to put programs and supports in place to achieve the goals took decades. Callarman says one of the biggest challenges was developing a “by-name” list-of every veteran living on the streets in a three month period. It's something Callarman says takes a lot of outreach and coordination, "It takes knowing where people stay whenever they're on the streets. It takes having relationships with organizations across town, who whenever they find a veteran are able to say, 'Hey, we found this person. Do you know them? Are they already on your list? Are you already working with them?'" Next, Callarman says advocates hope to spread the successful work with homeless veterans to the rest of the chronically homeless population in Abilene. 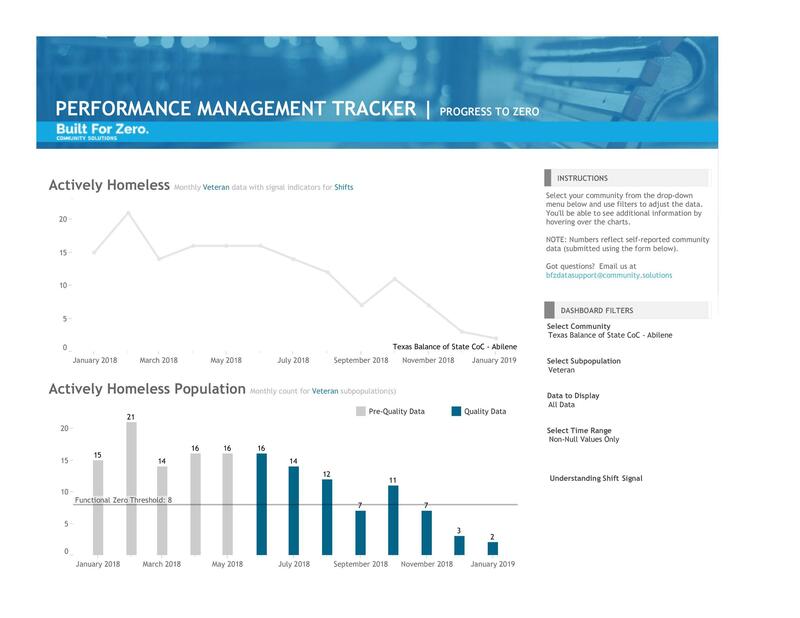 “Built for Zero is about proving that ending homelessness is more than a slogan— it's an achievable reality," said Jake Maguire, Co-Director of Built for Zero for Community Solutions. "Abilene has demonstrated that in record time. By coming together as one team, knowing every veteran on their streets by name, and using data to drive change, the organizations in this community have raised the bar on what's possible. Abilene's success is a model for communities across the country looking to solve this urgent and complex problem."